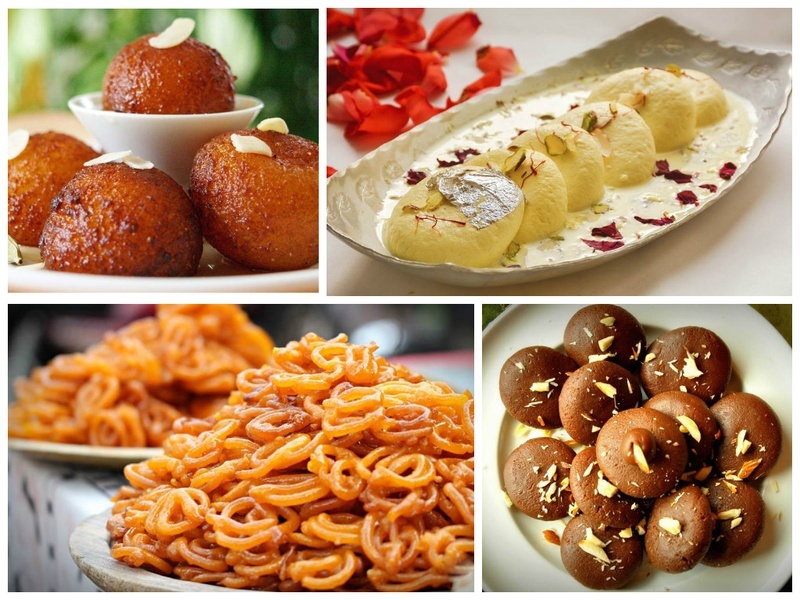 Top North Indian Sweets Or Mithai & Where To Find Them In Delhi! One of the most important things at a wedding, especially a North Indian wedding, is the food. Well, okay we’re sure your wedding lehenga is probably more important but trust us when we say this: Your guests ARE looking forward to the food! So what you want to do is uphold that family tradition (shot in the dark but we know we’re right!) and go all out on the super-yummy North Indian cuisine. And hey, no dinner is complete without its fair share of desserts. Just like the climax of a movie, they make or break the whole deal! So check out this list of most-wanted North Indian sweets or mithais that you cannot fail to please even your most khadoos chachi with. This one’s just about everybody’s favourite. Screw the calories and the form-fitting lehenga, even the bride loves to sneak in a couple of these babies. So it goes without saying that Gulab Jamuns are the ideal choice to satisfy everybody’s taste buds at one go. If you’re looking to find some great ones around Delhi, we know of all the right places! Another popular choice in Indian sweets, it’s no surprise why Gajar ka Halwa found its sweet spot at the top of our list too. Pair this up with a portion of vanilla ice-cream and you have the perfect combination of hot and cool. Everything needs balance, and the taste of these two together, only proves it further. These sugary spirals of glistening gold got our attention long before we could even spell ‘awesome’. And sure enough, these North Indian sweets always blow our taste buds away. So be sure to have this at your dessert counter. From the age of 2 to 200, everyone [and everything ;) ] is going to be super-satisfied. Mama’s favourite, right?! Whether she’s making it or eating it, you know it makes her happy. So when it comes down to the most important woman in your life, of course your search for Indian dessert options ends here! If you’re in the mood to treat yourself soon, these places should do the trick! As the name suggests, this is one of the juiciest and sweetest North Indian mithai around. Made from cottage or ricotta cheese soaked in thickened, flavoured milk, it’s certainly the right choice for ending your day on a sweet note. Make sure it’s served chilled, along with the choicest dry fruits. The Indian version of ice-cream! It’s creamy and milky but light as well. What more do you want after a rich and heavy wedding meal? You also have so many flavours to choose from. These Kulfi stores will keep you coming back for more! Don’t you love how many signature Indian sweets our country has? This is yet another famous one. We’re sure most of you would recall memories of being handed out little packets of pedas in school! On that nostalgic note, carrying memories from your kiddie-years, right into your adult-as-hell married life sounds like a good idea. A little of the past to cling on to, maybe? This Indian sweet dumpling made of suji or maida, comes in a distinct shape. Also, just like all the best sweets in the country, it is stuffed with khoya. The crunchy top layer and chewy centre make it quite filling!